Browse Hakuouki Shinsengumi Kitan Gallery: Recent | Popular. His face and eyelashes and hair are all so...gorgeous. The pink sakura make it even better. Nice scan, thanks for sharing! He's very handsome in the scan o___o thanks very much! Awesome scan, thanks for sharing. I've been trying to find how to make a category to place all my scans (since I'm the only one doing Hakuouki scans) but I can't find how. Maybe I'll start a forum and ask an admin. Aw, he looks so peaceful. Beautiful scan. Thanks for sharing! AMAZING SCAN! SO PERFECT! WONDERFUL! omg! 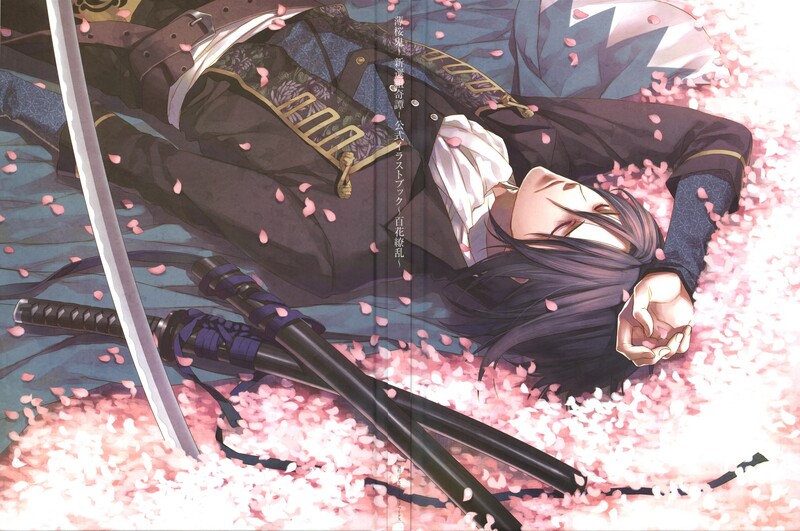 i love these pictures of hakuoki! So beautiful! Oh my gosh!